Now available as a fully integrated Pack, Goldbaby’s Urban Cookbook is a modern soundware classic that pulls together an endlessly plunderable treasure trove of drum kits, hits, chords, basses and assorted production tools – all made explicitly for use in dubstep, hip-hop, drum ’n’ bass, electro and related genre productions. A diverse range of sources were carefully captured for inclusion in the Urban Cookbook. Vintage drum machines including the Roland TR-606, 808 and 909, Akai MPC60, E-mu SP12, along with modern classics such as the DSI Tempest are at your disposal in the super-convenient Rack format. 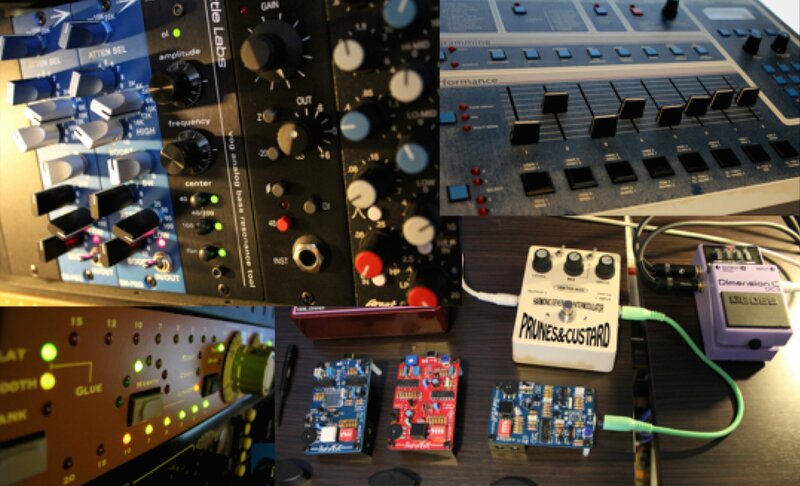 Also on board are vividly-sampled analog synths including the Roland SH-101 and Super Jupiter, acoustic instrumentation in the shape of a Pearl/Tama/Zildjian drum kit, as well as a shedload of hand percussion. To achieve maximum analogue warmth, saturation and punch, Goldbaby utilized tape, vinyl dub plates, vintage samplers and a range of high-end outboard gear at the recording and processing stages. The mix-ready results include not only all the elements of a standard kit such as kicks, snares, claps, hi-hats, toms, crash and ride cymbals, but also congas, bongos, blocks, bells, claves, shakers, triangles, tambourines, and even pipes, tap shoes, and whistles. Many of the hits come in multiple versions, with different processing applied. Beyond the samples themselves, the centerpiece of this Pack is the set of 52 mix-ready Drum Racks, each fully loaded with 16 sounds and accompanied by a showcase clip demonstrating its stylistic and rhythmic intent. There are many more samples in the Pack than just those used in the Drum Racks, so you can easily customize the preconfigured kits and construct entirely new ones. It’s not all about the drums either. Urban Cookbook 1 also features 36 bass, melodic, vocal and FX Simpler presets, and seven Instrument Racks, complete with effects and Macros. Again, these don’t use all of the sounds in the library by any means – explorers of the Samples folder will be richly rewarded. Finally, the Layering Tools folder is packed with clicks, crackles, subs and noises for adding attack, sizzle and body to kicks and snares, and generally dirtying things up; while 200 audio grooves serve as the icing on the cake, providing a wealth of rhythms for augmenting and embellishing lacklustre beats.